Seriously though, they are. Only they come bearing red Bonts, not red coats (and if we’re lucky some Blue Coat … and limes, but that’s another issue all together). Southern Discomfort is my new favorite derby team, and with the sheer amount of talent on the roster, I’m sure no one is surprised. 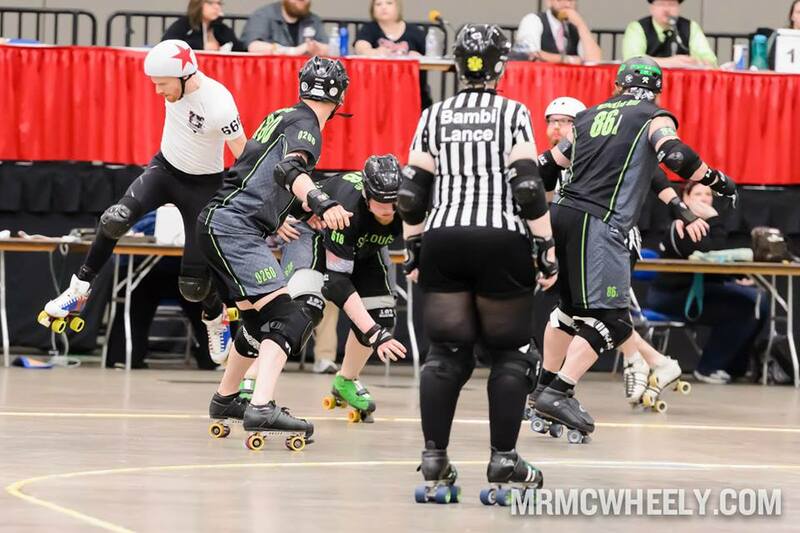 Their skaters qualified to play at the Men’s Roller Derby World Cup on Team England, France, Wales, Ireland, and Scotland: Seven chartered skaters appeared at the Men’s World Cup. Several others from the So Disco league were also featured during the WC, even though they don’t appear on the SD charter. It’s very possible that they are the MRDA team with the MOST skaters on World Cup teams (just based on what I’m seeing). Thanks to Flapjack for helping me come up with some of the World Cup info! Samdroid, Flapjack, and Rolling Thunder hold back Mass Maelstrom. From Spring Roll 2014. Photo by DeFord Designs. From London, England, So Disco has been together since 2010, when players from the south of England (who would get together to play men from the north of England) decided to ban together and start the first men’s team in the UK. Like their sisters, the London Rollergirls, SD didn’t have the luxury of being able to travel to close, competitive teams. 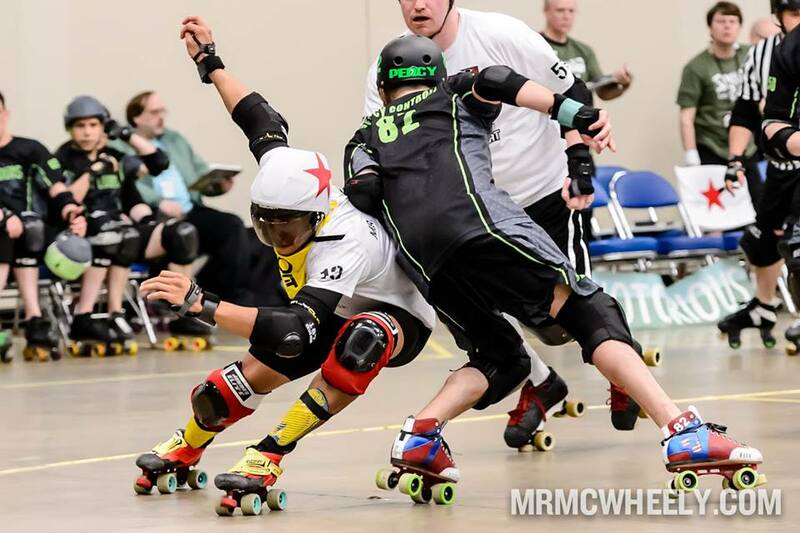 The first look most of MRDA had of the team was this year during the week of Spring Roll in Fort Wayne, Indiana. The lads crossed an ocean for an infamous “7 games in 9 days”, where they took on 3 of the 4 top ranked MRDA teams (Shock Exchange was the only one they didn’t get a crack at). The start of the tour was tough because of the extreme jet lag felt by the team, and they ended the adventure playing the GateKeepers. They looked like the Walking Wounded by the time the bout finished up, they had all put so much into that 9 day stretch. So how did I fall in love with So Disco? By watching them play Mass Maelstrom on Friday night at Spring Roll. We all know I’ve been a Maelstrom fangirl since SR ’13, so of course I was track side (especially with this unranked international team as the first match up). 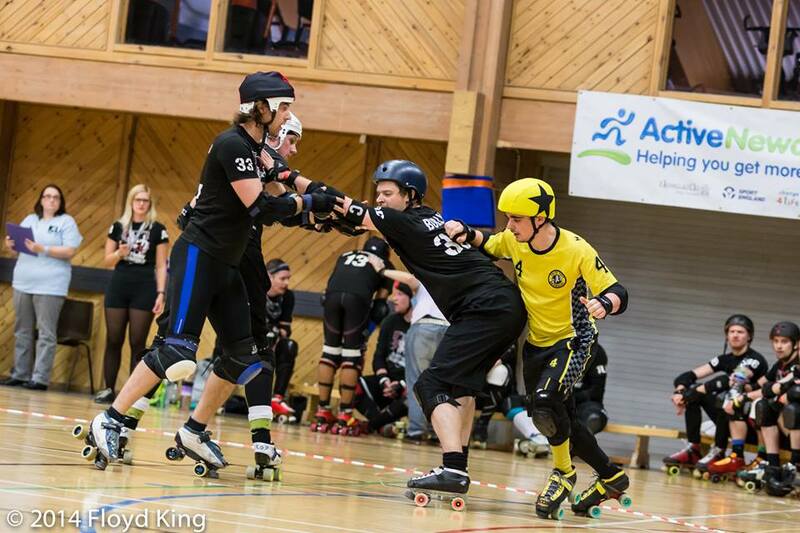 After the first jam, I knew that we were in for an amazing bout – So Disco flat out muscled the Maelstrom jammers for the first half. It is a feat to keep Jurasskick Park in a pack, but combination of men like Spectral Aberwraytion, Hooks Linger, and Rolling StoneR on the floor kept all the Maelstrom jammers fighting for every inch. I loved the acrobatics of Mr. Furieux, the backwards agility of Sutton Impact, the airiness of Reaper; I loved watching Ballistic Whistle toe up against Wes Turn (two jammers with very similar styles and amazing footwork). Right so fast forward: The game was tied at the half (TIED! ), but the second half proved too much of an endurance game and Maelstrom ended up winning by 50 points. Eventually the offense/defense switched helped establish MM’s hold on the game. I was sold on Southern Discomfort at that point though. It was over. Ballistic Whistle hops the fallen opposition. Sutton Impact… just does his thing. From Spring Roll. Copyright 2014 by Bob Dunnell. Please do not remove watermarks from this photo. All told, So Disco went 3-4-0 during their run in the states. 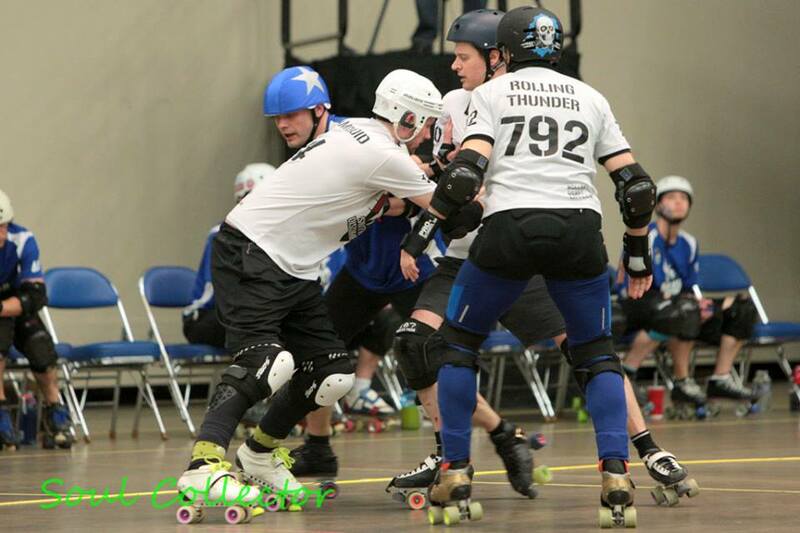 They beat Twin City Terrors, Capital City Hooligans, Denton County Outlaws, and CT Death Quads, while they fell to Your Mom, the GateKeepers, Mass Maelstrom. When rankings came out in June 2014, SD anxiously waited to see whether they had broken into the top 8 on their ranking appearance. “Disappointed” is how players described their feelings when the rankings were released with Southern Discomfort sitting at the 9th position. With unranked Denton County Outlaws slated to play the #8 Deep Valley Belligerents in August, SD still held onto hope that they would make it to champs thanks to their hard work (and their victory over DCO at Spring Roll). See my Denton County blog about why this mattered. At the MEC doing work! In the meantime, while the rankings were left up the good folks of Denton County and Deep Valley, So Disco focused in on the Men’s European Cup. With determination in their eyes (and their training), they took what they learned during their time in the states and implemented it into their gameplay. And, quite honestly, they dominated. No one else at the MEC even came close to defeating them. Then the next good news came: Denton had soundly defeated #8 Deep Valley before the final rankings for Championships were due. When the September rankings were released, So Disco found themselves at #7 in the MRDA. They had punched their tickets to Maritime Mayhem. In the first round, So Disco gets another shot at the St Louis GateKeepers. With both teams at full strength it should be interesting to see how this shakes out. Both teams have exceptionally strong blockers and equally as wiley jammers. Both have fluid walls and communication. 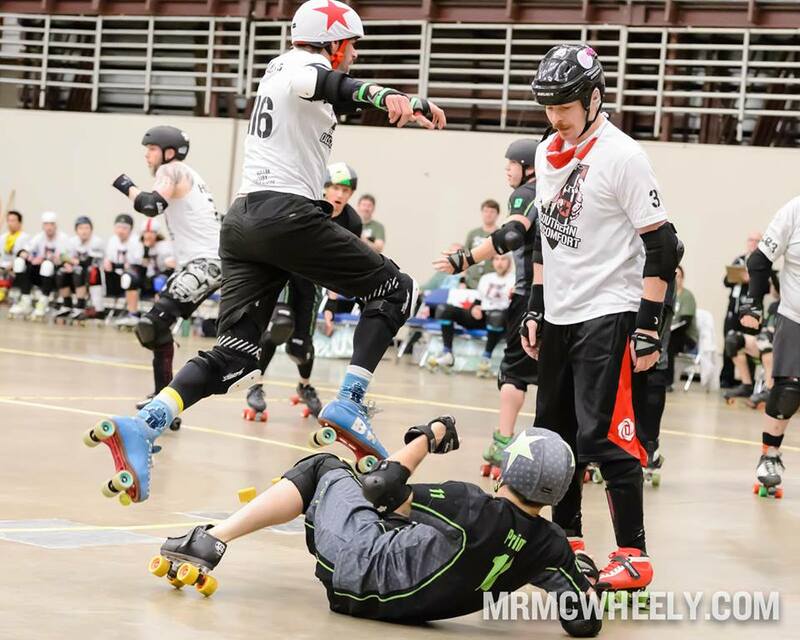 This could be one of the best bouts of the 2014 MRDA Championships. I doubt that Southern Discomfort walked away from their loss at Spring Roll without some lessons (or the footage on DVD to watch over and over and over). Reaper can fly in his [borrowed] Antiks. Yup, he broke a plate on his artistic boots so Quadzilla offered him a pair he had handy. The countdown is on for the MRDA Championships, keep an eye on their webpage for info as it’s released. 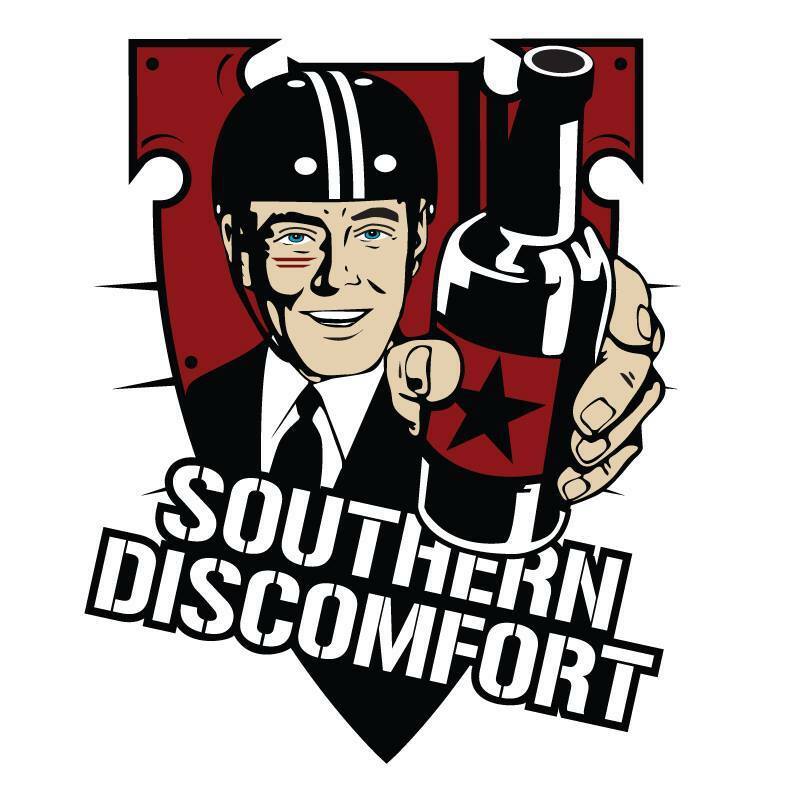 If you want to get more info about Southern Discomfort, visit their webpage! To support their GoFundMe and get some wicked So Disco merch, you need to visit their Fundraising Page ASAP.